Acne affects almost everyone; nearly 90% of adolescents, and over 50% of adults. 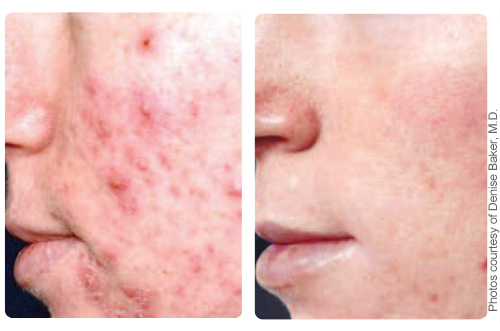 Let Premier Laser Care be your guide in eliminating acne and dramatically smoothing acne scars. Infrared energy allows controlled heating of sub-epidermal layers of the skin. With proper treatment, the procedure will lead to collagen remodeling, proliferation of active fibroblasts, and treating over-acting sebaceous glands that result in the reduction of acne and improvement of acne scarring. For a more dramatic improvement, skin resurfacing at a higher wavelength is common practice, and recommended. The wound-healing process produces fibroblasts that generate new collogen, plumping the skin and correcting skin imperfections!